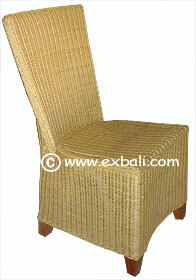 including Rattan Dining Chairs, Rattan Lounge Suites, Tables and Bali Rattan Furniture ensembles woven from rattan peel and wicker. 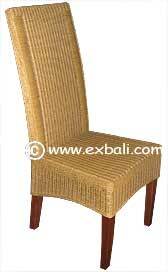 RATTAN FURNITURE SETS and WOVEN FURNITURE DESIGNS. 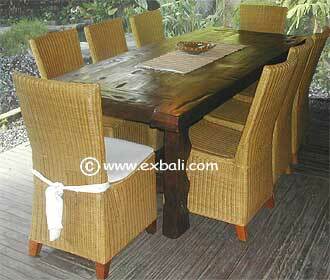 We have two distinct styles of Bali Rattan Furniture. 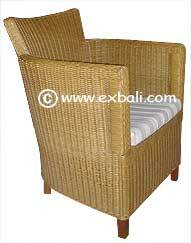 Traditional and Contemporary, Traditionally made rattan furniture utilizes rattan poles and teak or mahogany wood to create the furniture frame that is screwed together, the material component is then woven onto this frame. 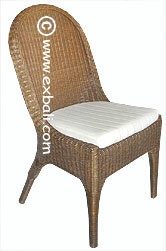 The latest style of rattan furniture uses Synthetic fiber woven over an aluminum frame for use in all weather conditions. 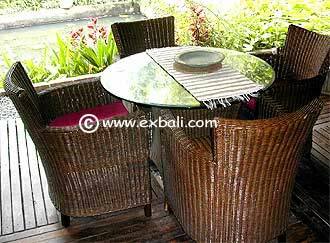 80 cm beveled Glass top with metal frame woven rattan table. 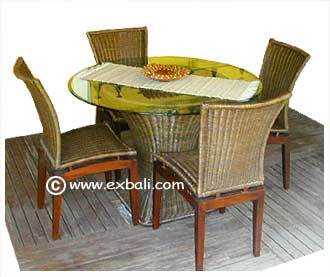 80 cm beveled Glass top with metal frame rattan table. 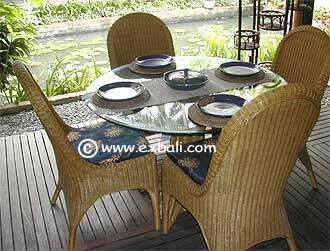 Rattan Dining Set including 4 wicker chairs ( Wooden Frame ) with cushions Example (Left) natural (Right) Antique Glaze 80 cm beveled Glass top with metal frame rattan table. 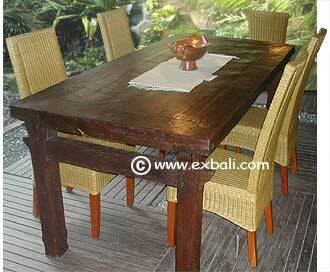 and optional solid antique teak dining table . 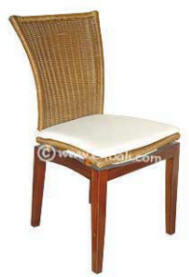 including Rattan armchairs, Rattan sofas, Dining Tables and Rattan Furniture ensembles woven from Rattan Peel, Wicker, Banana Leaf, Water Hyacinth and Sea Grass or combinations of any of the above.